Boeing has set up a new airplane program office to move one step closer to a decision on a “New Mid-market Airplane” — but still short of launching the proposed jet, often referred to as the 797. Boeing put program leadership in place Monday in readiness for an anticipated launch in 2018 of its next all-new jet. The proposed new jet, which industry experts are anticipating as the “797,” is conceived as intermediate in size between the single-aisle 737 and the twin-aisle 787 Dreamliner, with a range that could make it transatlantic and suitable for long thin, point-to-point routes. Although the move clearly indicates growing momentum toward a formal launch of this new airplane, which would be targeted to enter service around 2024, in an internal memo sent Monday afternoon to all Commercial Airplanes employees, McAllister stressed that Boeing is not actually pulling the trigger just yet. Experts expect Boeing to make a formal launch decision no later than next year. 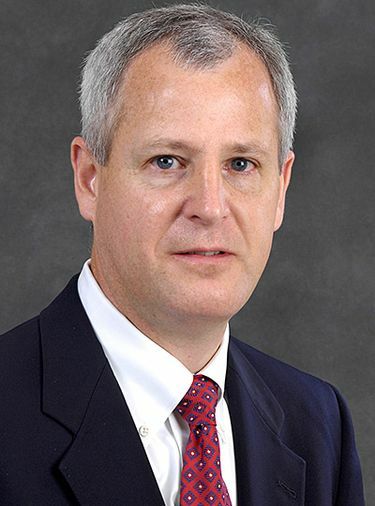 Mark Jenks will lead Boeing's new NMA program office. McAllister said he’s appointed Mark Jenks, who has been heading the 787 program, as vice president and general manager of the new NMA program office, which will be based in Renton. “With a wealth of lessons learned on the 787, (Jenks) has the right expertise to lead production system development, reduce program risk and manage the tradeoffs between cost and investment in meeting development targets,” McAllister told employees. The NMA, first discussed publicly at the 2015 Paris Air Show, gathered momentum at this year’s Paris Air Show. Boeing said then it had consulted with 57 different airlines about the concept, which is for a twin-aisle airplane seating 220 to 270 passengers with a medium range of 5,500 to 5,700 miles. In Paris this year, Mike Delaney, vice president of new airplane development, indicated that the plane will likely have a carbon composite airframe. Significantly bigger than the single-aisle 737 and with much less range than a 787 Dreamliner, it would be targeted to open up new international routes, such as connecting cities around Southeast Asia or less-traveled transatlantic routes such as Washington, D.C., to Budapest. McAllister’s memo said Brad Zaback, 777 deputy vice president and general manager, will replace Jenks as head of the 787 program.